Thanks to Learning Life volunteer Estelle Brun for researching and writing these five facts. Oil is vital to most people in today’s developed and developing countries. Oil is used to power vehicles, heat homes, grow food, and make all kinds of popular products, including plastics. For these reasons, oil is central to our global economy, and directly influences domestic politics and international relations. Venezuela has the largest proven oil reserves in the world, followed by Saudi Arabia, Canada, Iran, Iraq, Kuwait, UAE, Russian Libya and the USA. “Proven oil reserves” refers to the amount of petroleum that can be commercially used. In terms of oil production and export, Saudi Arabia is #1, closely followed by Russia. The USA is in 11th place. Oil revenues account for 2.5% of the world GDP, or Gross Domestic Product – the total monetary value of all goods and services produced. In the MENA region (Middle East and North Africa), oil rents constitute 13% of their GDP, and in Kuwait, 40%. In 1953, the CIA (US Central Intelligence Agency) collaborated with the British Secret Intelligence Service to stage a coup d’état ousting the elected Iranian Prime Minister Mohamed Mossaddegh. Mossaddegh had been pushing for the nationalization (Iranian government control) of its petroleum reserves, threatening US and British access to and profits from Iranian oil. In 1990, under the leadership of President George Bush, the US intervened in Kuwait, to repel the Iraqi invasion of Kuwait. Iraqi leader Saddam Hussein’s invasion of Kuwait again posed a threat to American access to and profit from Kuwaiti oil. The intergovernmental organization OPEC – the Organization of Petroleum Exporting Countries — was founded in 1960 by Iraq, Iran, Kuwait, Saudi Arabia, and Venezuela to exercise more control over oil production and prices. The organization, which counts 14 members today, controls around half of global oil production. OPEC can have dramatic effects on the world’s economy. For instance, during the 1973 Yom Kippur War between Israel and Arab states, OPEC countries imposed an oil embargo against (cut off oil to) countries aiding Israel, notably the USA and the United Kingdom. Accordingly, by 1974, the price of oil in the US and UK had quadrupled. 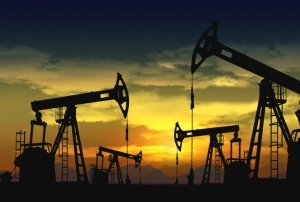 In the midst of technological innovation and climate change, the future of oil is uncertain. While the world will continue burning oil for the foreseeable future, oil-based economies are not environmentally sustainable in the long-term. Newer, cleaner forms of energy, like gas, solar and wind are accordingly gaining ground. Even countries that have long depended on oil for much of their income are now looking to make money from other industries, like tourism.